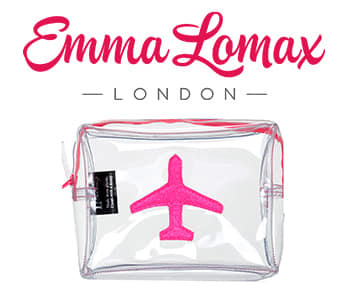 Soak up the sun and explore your favourite destination in style with the Emma Lomax Travel Bag collection, a must-have addition to your beach bag or hand luggage this holiday season. The perfect size to keep all of your essential beauty close to hand, this waterproof, zip lock collection insured your items with safety and sophistication. Now you can organise your belongings in style with this hand embroidered collection from Emma Lomax, a unique and practical selection of fun-filled designs and travel-friendly bags to accompany you to on your journey.